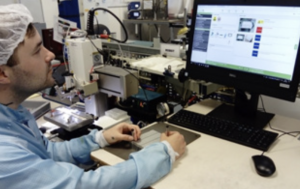 Previously using a laborious work instructions process, LED and laser manufacturer ProPhotonix moved to AssemblyX, to find they saved 20 minutes a day on administrative tasks alone. ProPhotonix manufacturers optimum LED or laser solutions for global customers across a variety of sectors – industrial, medical, and scientific equipment manufacturers. Headquartered in Boston, US the firm has two manufacturing subsidiaries in Cork, Ireland and Stansted, UK. The company previously used Microsoft Office to create and track all work documents. “We used Excel as a control system, which contained a list of all the work instructions with a hyperlink to each instruction,” explained Zita Jeske, Quality assurance engineer, ProPhotonix. ProPhotonix locked down all work instructions to be read-only, but occasionally workers navigated around this and changed links or made notes, which meant it was not consistent with the original. “Ensuring compliance was a laborious task. Version control and history of the document was difficult to manage. If a change was required, we often had to hunt down any paper documents, finding them on people’s desks,” commented Gary Cunningham, NPI Lead,Prophotonix. The goal for ProPhotonix was to continue to reduce paper from its operations. Although using a digital-based system, many users printed out instructions. Gary explained: “we wanted to ensure that we had robust systems, so we did not make mistakes. Part of this was removing the paper lingering in files that were no longer applicable. AssemblyX is now in use on a couple of ProPhotonix product lines and they intend to roll it out across all operations. Senior management havebought into the system, as they can see the impact it is making across the business. “The digital screens save time and energy, engineering time is reduced, and the system ensures that the right document is being used. In AssemblyX, documents cannot be altered, and the user interface is much easier, improving efficiencies,” said Gary. 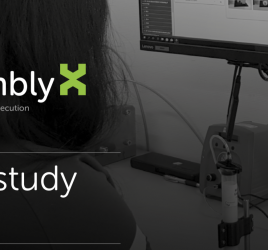 AssemblyX has helped ProPhotonix tackle quality challenges, ensuring that old documents are not used, and all work instructions are accessed from one single location. Trackable version control has significantly reduced man-hoursfocused on administration tasks. “The work instructions can be standardizedfor certain process, so things like health and safety are automatically populated. The system only allows you to input one point per step, so it is concise and clear,” added Zita. ProPhotonix staff have provided good feedback on the new system and find it easy-to-use. 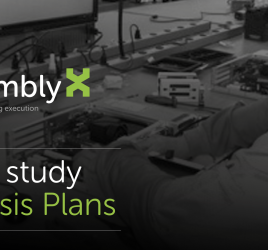 “We are excited by the modules coming up in AssemblyX digital for manufacturingexecution and we are looking forward to growing together,” finally added Gary. For more information about AssemblyX, please get in touch.